A mix of beauty, diversity and generosity, Pay Dirt Slots offers an unforgettable background, depicting a farm settlement, located in an emerald plane surrounded by tall pines and hills with the gorgeous blue-violet sunset filling the horizon. The game provides 5 reels and 3 rows. There are 25 paylines. The total bet varies between 25 cents and 6 dollars, 25 cents. The game also provides a Random Jackpot prize, the value of which is depicted right above the reels. 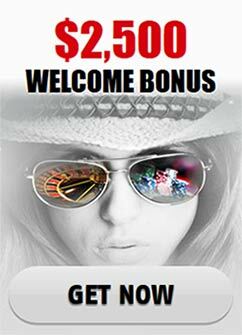 Additionally, Pay Dirt Slots offers plenty of profitable symbols and multiple bonus features, which will truly make you feel not just like an actual gold-digger but like someone who is digging in the right place. The game’s paytable depicts the available payouts of the symbols’ winning combinations in a very comfortable manner, because it depicts all the values as they would be after the multiplying effect of the wild is added. The scatter symbol of the game is a wooden sign with the title written on it and it pays with multipliers on the total bet, delivering 2 times the bet for 3 symbols, 20 times for 4 symbols and 200 times for 5 symbols. The highest paying symbol is the entrance of the Gold Mine, providing gamblers with 10 coins for 2 symbols, 100 coins for 3 symbols, 1000 coins for 4 symbols and the game’s top prize (not upgraded or increased) that is 10 000 coins for 5 symbols. The Miner himself, who has a big beard, a golden hat and is ready to work with a smile on his face, grants 5 coins for 2 symbols, 25 coins for 3 symbols, 250 coins for 4 symbols and 2500 coins for 5 symbols. The Brigand, armed with a handgun and dressed in a green hat and a cloth mouth mask brings 3 coins for 2 symbols, 15 coins for 3 symbols, 100 coins for 4 symbols and 1000 coins for 5 symbols. The cart full of golden nuggets as well as the donkey symbol both offer 2 coins for 2 symbols, 10 coins for 3 symbols, 50 coins for 4 symbols and 500 coins for 5 symbols. The rest of the symbols in the game offer 3 winning combinations from 3 to 5 matching symbols. The happy dog with the gold nugget in its mouth and the cart full of dynamite symbols give 5, 25 and 250 coins, while the lamp, the pickaxe and the pan offer 5, 15 and 100 coins. The wild of the game is the Gold Nugget symbol and doesn’t offer payouts of its own but has an uncommonly large multiplier of 3, which is put into effect every time the wild replaces a symbol, completing a potential winning combination. The only irreplaceable symbol is the scatter sign. The Gold Nugget can appear as grouped on the second and the fourth reel. As far as bonus games are concerned, there are 3 of them in Pay Dirt Slots excluding the jackpot award. The scatter symbol can activate one of those 3 bonus games if at least 3 of the sign symbols show up on the reels. The first possible feature is called “Gold Rush!”. It provides gamblers with 12 free spins and throughout them, grouped wilds can make an appearance. If the triple scatter symbol combination lands on the reels during the free spins, 12 more spins will be granted. The second one goes by the name “Gold Fever!” Just 5 free spins will be delivered in it but there will be an entire reel (the third) that will be covered in wild symbols. Three more scatter symbols will deliver 5 more free spins. The third feature is “Strike it Lucky!”. It involves 5 Gold Mines and each one will reveal a bonus symbol, when it is selected by the player. 10 free spins will then be given and the chosen symbol will proceed to be transformed into a wild if it shows up on the reels during those newly granted spins. If the right combination reappears 10 more free spins will be given. As for the Progressive Jackpot, it can be acquired randomly by a player at the end of any spin. Pay Dirt Slots is a fascinating gambling experience, which offers a polished visual design, superbly rich gameplay and countless opportunities for giant prizes.